Maxim Gasumyants (together with Dmitry Novikov) is the founder and technical director of the company OrderAdmin. The mission of OrderAdmin is to help owners of online stores and warehouses to create and implement innovative solutions for comprehensive and sustainable development. Maxim constantly advises owners of e-commerce businesses to optimize their internal processes to increase profits and reduce costs. Since 2014, Maxim is the CTO of the Russian company Reverker, which provides the service of the polyphyllant. Customers of the company have over 500 different online stores, with more than 300,000 items in stock. The company works with dozens of courier companies and has sent over 1.5 million orders in Russia and other countries. Prior to joining the Revolker team, Maxim was a representative of the S.Builder site management system in the Northwest Region of Russia (among the clients are companies like UNESCO, Volvo, Societe Generale Vostok, BMW, GlaxoSmithKline). Maxim is also the initiator of the "Internship Programmer" program in the Bulgarian company "Lemon.bg", which is for the training of beginner programmers. Where under his leadership, the main focus is on e-commerce automation issues. Now the company "Lemon.bg" has been restructured and is currently developing software, mobile applications and other solutions for Bulgarian and international companies. Prior to founding Lemon.bg, Maxim was the founder of the IQ company in Russia in the city of St. Petersburg. 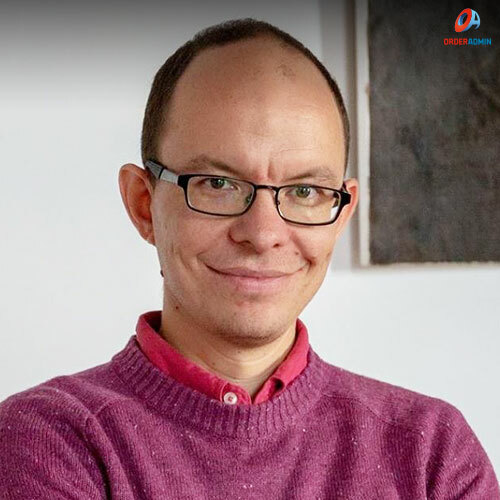 Since 2005, he has successfully promoted the Russian site management system and is one of the first to offer comprehensive services using the latest internet marketing techniques to increase sales across the Internet. From 2010 until 2014, IQ is in the top 50 in the ranking of the web-studios in St. Petersburg. In 2008, Maxim was invited to be an organizer or guest lecturer at the annual e-commerce events and conferences in St. Petersburg and Moscow (Russia). He participated in the work and was a co-organizer of the industrial associations. Maxim studied at the Polytechnic University of St. Petersburg Peter the Great at the Faculty of Information and Control Systems. In 2010, Maxim Gaussymann received the prestigious master's degree in engineering and technology. And immediately after graduation he taught in the field of automation and man-machine interaction. Besides entrepreneurship, Maxim is also engaged in sailing, diving and loving to travel.